Bourgogne-Franche-Comté is an administrative region of France. It was created in 2016. It was created by combining the former regions of Bourgogne and Franche-Comté. 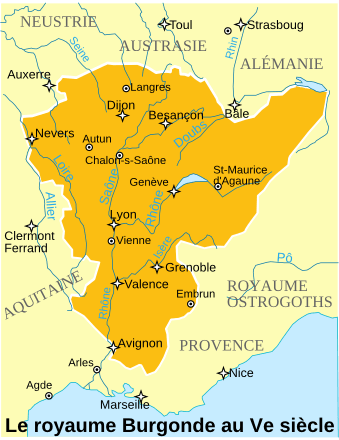 Bourgogne-Franche-Comté is a temporary name for the region. A permanent name will be decided by 1 October 2016. The Kingdom of Burgundy during the 5th century. Bourgogne-Franche-Comté Facts for Kids. Kiddle Encyclopedia.